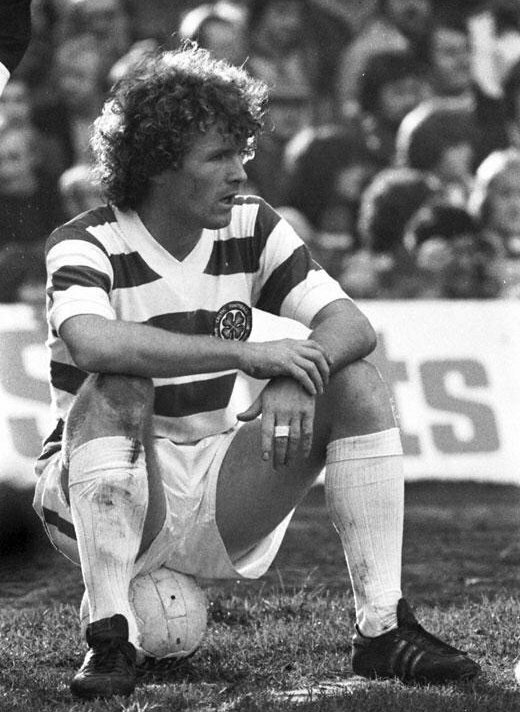 The 1977/78 season was an unmitigated disaster for Celtic; fifth place in the league and no trophies won meant no European place for the first time since 1961, but perhaps the biggest debacle was the defeat to Kilmarnock in the Scottish cup replay at RugbyPark. Celtic were lucky to survive the first game and only a late Roddy MacDonald goal had saved the Celts’ blushes against the part time first division Ayrshire men. Killie deservedly won the replay and the gloomy mood of the huge number of Celtic fans who left Rugby Park on that dark February night and travelled back over the Fenwick Moors was compared by one scribe as akin to ‘Napoleon’s retreat from Moscow’. 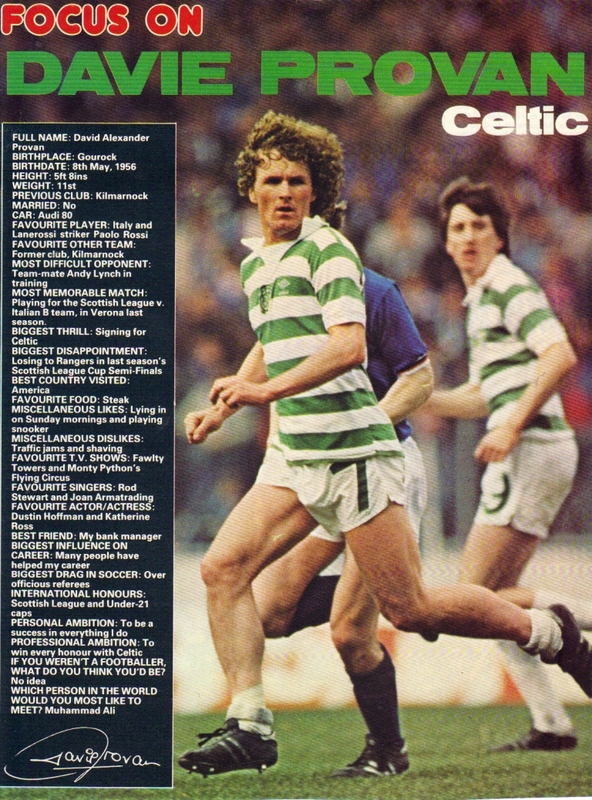 There was one talking point amongst the Celtic support after the game and that was the performance of the Kilmarnock right winger, Davie Provan. He had tortured Celtic’s left flank in both cup ties, firstly giving Tommy Burns and then John Dowie a torrid time. The fact that Celtic had played two midfield men out of position at left back did not detract in any way from Provan’s sparkling performances. were not happy about his destination and only the threat of Provan going full time at a Paisley whiskey bond was to push the deal through. 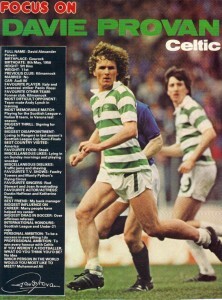 And so on September 18th 1978 Davie Provan became a Celtic player in a £125,000 record Scottish deal. (look at him on TV these days and to think I used to presume he had naturally curly hair ! ), jersey hanging over the shorts and socks around the ankles made him a unique figure on the field of play. difficult to tell them apart. By all accounts Davie also had a sense of humour and was heard to remark to a snarling Alex MacDonald of Rangers in the heat of a Glasgow Derby, that he could ‘keep a beach ball off him in a telephone box…!’ He was an integral part of two of the finest Celtic forward lines of the modern era in the early 1980’s. The first being Provan, Sullivan, McGarvey, Burns and McCluskey and the second – Provan McStay, McGarvey, Burns and Nicholas. 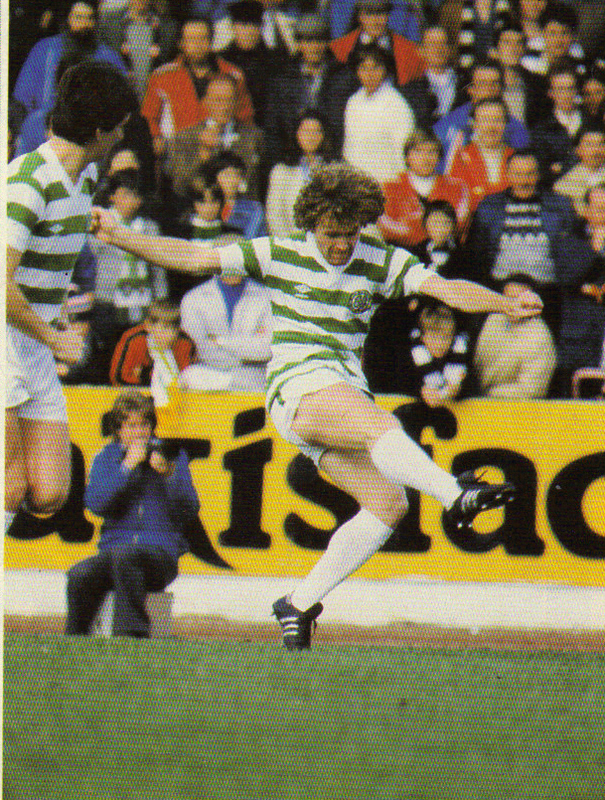 He had many great games for Celtic although perhaps his finest was the League Cup Final in December 1982, when he ripped the Rangers defence apart at Hampden, on a day of vile weather. Davie created both goals that day in the 2-1 victory and also a hatful of chances that were not taken, making the margin of victory tighter than it should have been. 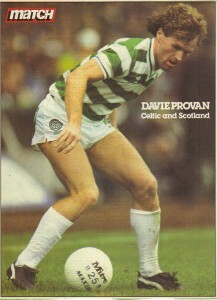 At the start of the 1985-86 season Davie had a return to form and was giving his best performances for some time. Unfortunately his health was now affected by Myalgic Encephalopathy (ME), better known as post viral fatigue syndrome. Despite a courageous effort to continue his career he had to retire in 1987 and 42,000 Celtic fans turned out on a bitterly cold night to attend his testimonial against Brian Clough’s Nottingham Forest side. 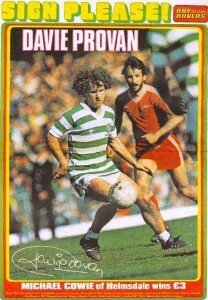 Davie Provan is currently an articulate newspaper columnist and erudite match summariser on Sky Sports. Around 2000 I attended a charity night talk show in aid of the Little Sisters of the Poor in a parish hall in Paisley, the name of which I can’t recall, at the back of St Mirren’s old ground at Love Street. Brian Dempsey organised it and had assembled an impressive array of guests. 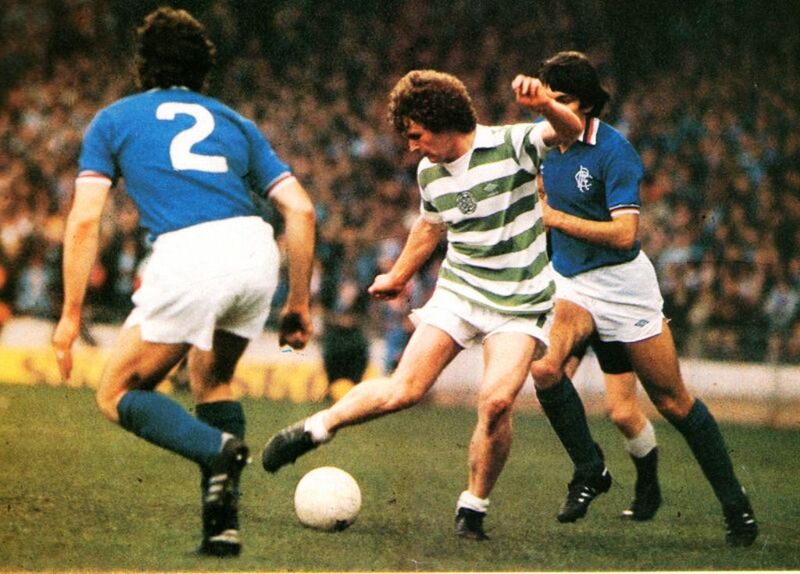 As well as Dempsey, there was Paul Cooney, Hugh Keevins, Charlie Nicholas, Gerry McNee and Davie Provan in the hall that night. The panellists had brought various items with them to auction in the course of the evening to help raise funds. Nicholas brought what I heard described as a ‘scabby pennant’. Provan donated his first Scotland cap from 1979 and his 1985 Scottish Cup Final jersey, the game in which he had scored such a dramatic equaliser against Dundee United. Brian Dempsey at first refused to accept them saying that they were of tremendous personal and sentimental value to Provan and that he may regret this kind act in later years. 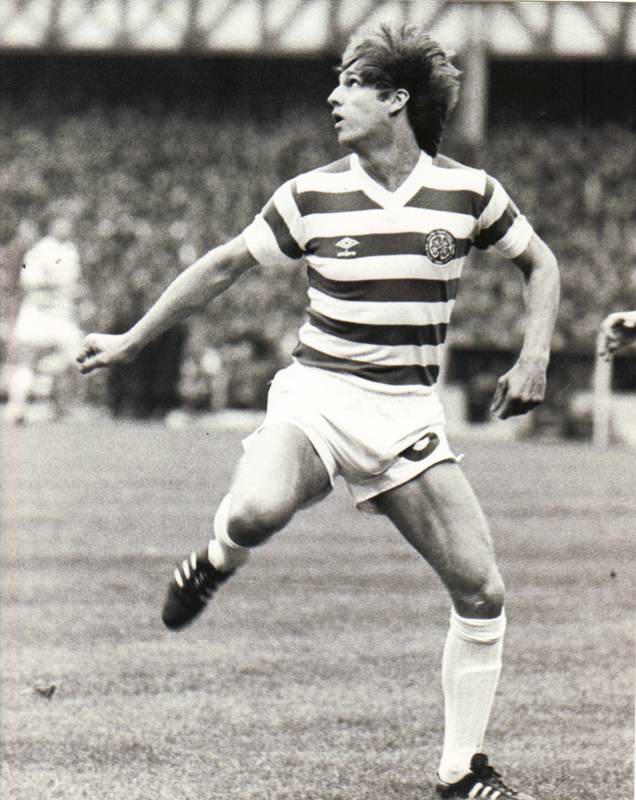 Provan, however, was adamant stating that he had the memories which were priceless and that he was delighted they should go to help finance such a worthy cause in helping the poor of the Third World. Gerry McNee won the auction with a benevolent bid of £1000 and he now had Provan’s 1985 cup final top to go alongside his famous ‘Jimmy McGrory’ medal. The elderly Mother Superior in the hall was totally overcome with emotion, never thinking for a minute that such a vast sum of money would have been raised on the night for the Sisters’ good deeds. 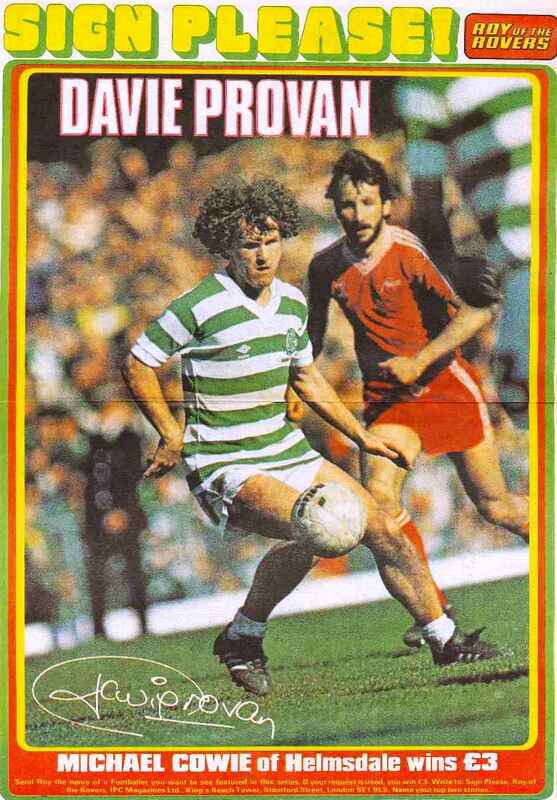 And having witnessed his charitable deed that night in Paisley, I knew there is indeed still, only one Davie Provan. NB – Click pictures to enlarge.